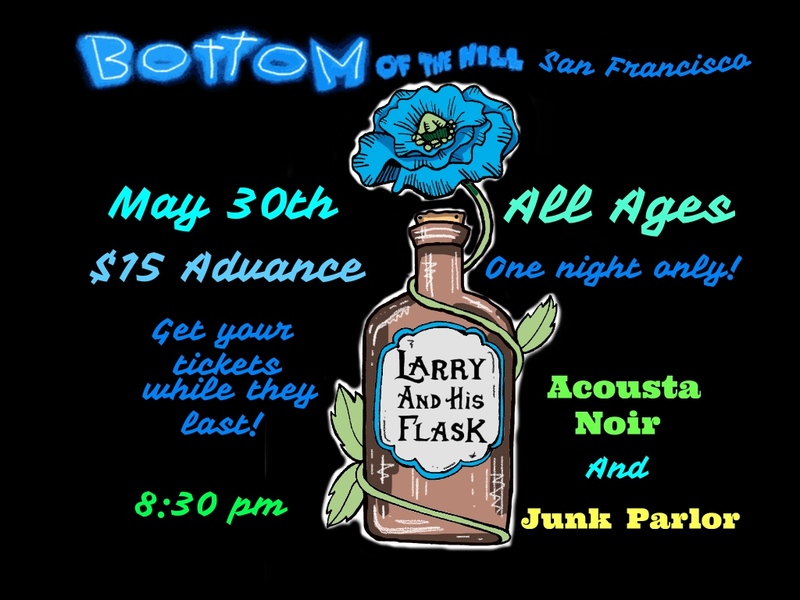 -“Larry and His Flask are a five piece, high energy Rock and Roll band that incorporate elements of Punk, Gypsy Jazz, Folk and Americana music. 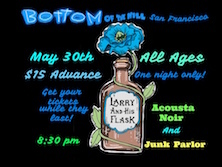 Some people refer to them as “Folk Punk” or “Punk-Grass”, but regardless of genre classification they strive to bring the party to every crowd. Their goal is to get everyone stomping, clapping, dancing, smiling and having a damn good time! 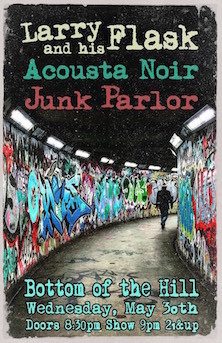 -A galvanizing force on the Bay Area indie rock scene since launching serendipitously in 2013, Junk Parlor is that crazy-rare band whose vibe is so driven by joyful schizophrenia that it transcends easy genre trappings. 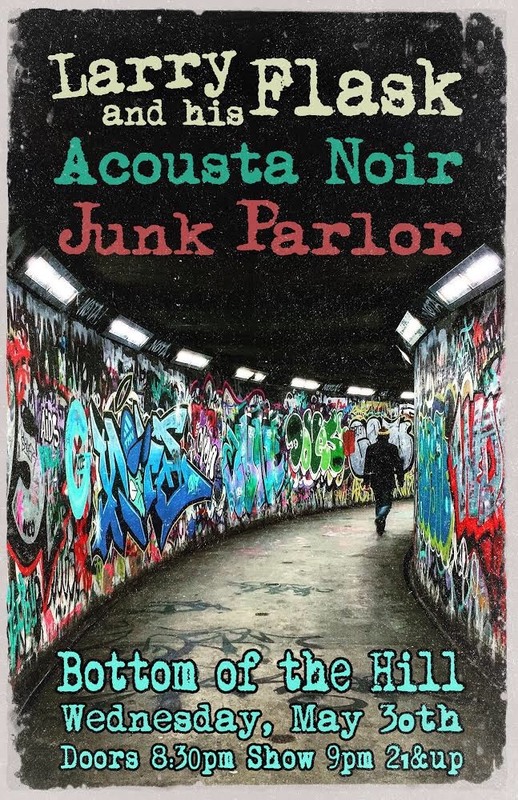 Junk Parlor is an adventure down a path paved with eastern european, bohemian, vintage bellydance melodies and our own brand of moody, haunting originals. Leonard Cohen-esk vocals and poetry, acoustic manouche jazz guitar, ripping violin, cajon, percussion, fretless electric bass, all come together to paint a fantastically edgy dream scape. We have been described as "Crooner Punk” by our fans and are often compared with Nick Cave, Tom Waits and Gogol Bordello. Jason Vanderford leads the band with vocals and acoustic guitar, accompanied by Laela Peterson's moody viola and violin, Tim Bush’s growling fretless electric bass and Robin Goodrich’s swaggering beat….. A dream on the edge of a cliff.